Thanks for the Birthday wishes!! I had a great day. Sadly there was a death in Jason’s family right before the weekend, and it hit him very hard. We have a funeral to attend today. I haven’t written about it out of respect to Jason’s family (and won’t go inot detail). Jason is very upset by this loss. He is far more “private” person so I need to respect that. Jason has a slipped disc in his back (ongoing for about 5 months now :C) and has been getting coritsone shots in his back. We have hours of driving today and I just hope he fairs it well. I know it will be very diffiuclat as he has a ahrd time with sitting and driving in a car. It is sure to be a emotional and physically challenging day for him. Anyway given life’s events I didn’t get my other samples uploaded or anything for today. It’s just been very hectic with everything. Today is the releast at All That Scraps so check it out! Also check the blog for more peeks and give-aways! Check out the release party thread later! Well today I turn 31! I have everything in life one could hope for. My first year in my 30’s was a great one! 1. Alexa became “officially” cancer free, 2 weeks after I turned 30, and is doing AMAZING! I don’t think I could ask for anything more from life, than happy and healthy children. The day we found out she had cancer, never did I think she would be here, looking and feeling so amazing. I am eternally grateful to God for all he has given my family, and of course by blessing me with my children. I am also thankful for all the progress Cancer research has made, because without funding and brilliant minds, my Alexa would not be here. Alexa continues to amaze me daily. Be it with her growth, health and progress, to being manipulative, and full of attitude! LOL! I HAVE HIGH HOPES FOR HER FUTURE. 2. I was able to fulfill my dream-starting the My Timeless Templates line with Papertrey Ink! That is something that was beyond my wildest dreams! I cannot even put into words how I feel about being given such an opportunity to work with such a company like Papertrey. Nichole is my stamping idol! I know I sound lame, but she truly is. She is also a truly amazing, and down to earth person, who I admire greatly (and Im still in shock she is YOUNGER than me!) Im also thankful for the love & support you all offer to me as I experience this new venture. Your excitement you share with me propels me further. THANK YOU! 3. I got skinny! (and healthier) I worked hard to lose the weight I have been yo-yoing with for the last 7 years! The weight I had been wanting to lose SO bad since having Noah. I would lose a little, then get too comfortable, and gain it back faster than it left :C. Its hard because I was always very thin. Then when big time of stress in my life hit, I got heavy due to stress eatting. I was doing good when Jay and I got married, but when Alexa got sick I hit a severe downward spiral. The ONLY thing I could control at that point in my life was what I ate, and I chose all the bad things. Finally my 30th birthday was a big wake-up call. In September I decided I would NOT have the weight on my by the time I turned 31! I lost 65lbs, and not only do I LOOK better, but I feel better. I changed the way I look at and deal with food. I don’t use it to cheer me up when Im upset anymore, and if I do have a treat, its just that-a treat! Im not going to beat myself up over it for a couple days while I eat even more junk!!! I eat better, and workout almost everyday. I make better choices, each day. Its a continuous lifestyle change/effort. I’m so proud of myself and happy for the changes I have made. I look forward to each new day, full of energy! I also feel like I could actually be in the infomercials! LOL! I mean seriously, when you watch it, you think these people are so FULL OF IT! But its so true! What is hilarious, is yesterday they had the Mitch Gaylord infomercial on yesterday (only a NEW one I think), and I was just like YES! Its true! That program does work! LOL! I love you Mitch Gaylord! LOL!!! It was HIS infomercial that made me FINALLY say-“OK I’m committed-DONE!”. I ordered it right away. The pants I am wearing on my birthday are a 6! I’m 5’10, so that is pretty good. My shirt was a small 😀 LOVE THAT FEELING! So if you think YOU can’t do it, its not true. You can. 4. I inspired people! What is better than that. This year I felt like I was able to inspire so many people! Inspiration in the form of sharing my weightloss-therefore encouraging so many of YOU, to get in a healthier lifestyle. I have inspired my family and friends (in real life! LOL!) too! I’ve also inspired people to make affordable gift items through my template line! Many people who are new to papercrafting or thought “I can only make cards”. Or, I can’t do that, its too hard. Then next thing you know they are whipping out LOTS of gifts for everyone, in a fun, creative and affordable way! THAT ROCKS!!! I have also inspired people by sharing so much of my daily life (OK so at least that is what people tell me! LOL!) here all the time. I’m an open book. Probably too much! LOL! But I think people like seeing I’m a REAL person, just like you, with daily hiccups in life. I am SAHM who goes crazy every now and then with my ventures at home, and balancing everything. Im not perfect! LOL! Which is definitely apparent if you come here 😀 But Im OK with that. 6. I got the camera I have wanted for a VERY long time 😀 I am excited to expand my photo knowledge through the next year, and have some goals for myself-like take a class or two, maybe enter a contest, get REGULAR photos of my kids, and make sure I continue to learn how to properly use the fabulous settings a professional grade camera offers (otherwise why spend the money for it! That would be LAME!) Still need to get signed up for some classes though. 7. I received a video camera and I actually learned to make. edit and post videos for my blog! WAHOO! This was a big goal for me and I am excited by all the future ideas and possibilities with that fun toy.Plus getting eqsier videos of the kids is great too. 8. My brother had a baby! Never did I think I would see the day. Better yet I was there in the delivery room to see her enter the world! 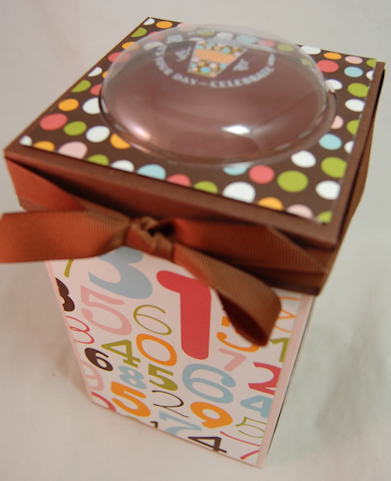 A truly amazing gift for someone to give you!!! Such a miraculous, and personal thing. I was over the moon to be able to bet there. Of course Im totally in LOVE with my niece. I should get to see her today-so happy dance! I also have to say Valerie is doing a fabulous job being a mom. I am very proud of her. Prior to Gaggy her and my brother lived in Las Vegas. BIG PARTY SCENE-enough said! I worried they wouldn’t TAME their lifestyle to fit the new duties of parenting. Well they are doing a great job!! 10. Everyday! I am so thankful for everyday I have! There is something amazing in each day if you take ONE SECOND to recognize what it is. I often remind myself of that at the end of the ay when the kids are screaming and fighting! LOL! They are HERE! ALIVE and well. Blessing my life in ways I can’t even put into words. They are healthy and I am thankful for all the crazy loud noises that fill my home. I know that ONE DAY, this house will be silent. My kids will be gone to live their own lives, and I will long for their little hands tugging at me for something, hugs around my waist, and little loud voices that fill this house. It is so sad to think they will grow up some day. I would FREEZE them right in this moment if I could. Tomorrow is “my day” so Jay lets me “eat out” where ever I want for Lunch & Dinner! WAHOO! Breakfast is always my fave-homemade Belgian Waffles, with butter,caramel, whip cream and syrup 😀 Now (given healthier choices) Ill skip all the extras and just have fat free whip cream and fresh strawberries (still Yum-O!). My mom bought me a TOTAL Spa package-mani, pedi, facial and deep tissue massage! Can you say HEAVEN!!!!!!!!!!! Anyway-I’m happy for my birthday 😀 I know I sound like a kid huh? But how often do we get a day to be spoiled? I know I don’t get many, so I definitely milk it, for all its worth. 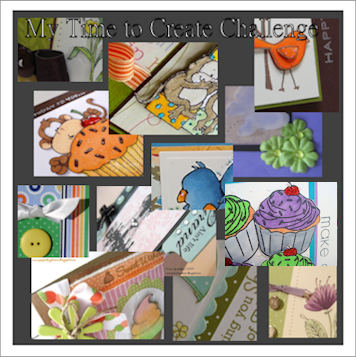 Today is the very first official My Time To Create Challenge with my NEW! Team of talent! Im in awe of the samples! Wait till you see. You are sure to get inspired. I have long awaited this image from Whiff of Joy-Willow with Hot Chocolate. She was FINALLY in stock, so I snagged her. This is the felt flower that I show you how to cut from felt, in your cuttlebug machine. I also share how to use your nestabilities to cut felt as well. I also show you how I stitched the flower, so you can see how easy and cost effective it is to create your own felt embellishments!! They would typically run you several dollars for only a couple in the store. Here is the close up view of the sentiment I chose. Me loving coffee-it was PERFECT! Now we move onto the My Time To Create Challenge Team. This is a collective view of PEEKS . You have to hop around to see WHO made WHAT! Let me tell you, these girls are going to keep me hopping with their creativity, fresh outlook, energy and TALENT!